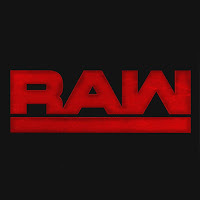 Tonight's WWE RAW will take place from the Times Union Center in Albany, New York as the road to Money In the Bank continues. It looks like WWE Intercontinental Champion Seth Rollins will host another Open Challenge. It's also expected that more Money In the Bank qualifying matches will take place tonight. Segments confirmed for tonight's RAW include Sami Zayn bringing Bobby Lashley's three sisters to "expose him" and a face-off between Ronda Rousey and RAW Women's Champion Nia Jax. How will Sami Zayn "expose" Bobby Lashley? In a sit-down interview with Renee Young on the May 7 edition of Raw, Bobby Lashley revealed that his positive outlook and unmatched athleticism are owed largely to being raised alongside three unique older sisters, who remain a large part of his life today. However, Sami Zayn — who sustained “vertigo” as a result of Lashley’s signature stalling suplex — claims that there are details surrounding Lashley’s past that the former ECW Champion has chosen to omit. Zayn revealed this past Monday night that he’s reached out to Lashley’s sisters via Facebook and that his true story is far different from what we’ve been told. The outspoken Superstar has invited Lashley’s sisters to Raw in Albany, N.Y., so we can learn all about the “real” Bobby Lashley. What exactly does Zayn have planned? Will The Big Dog's rampage continue? This past Monday night on Raw, Roman Reigns got some much-needed payback against Jinder Mahal — who cost The Big Dog a Money in the Bank Qualifying Match — by pummeling The Modern Day Maharaja and then Spearing him through a wall. The attack prevented Mahal from competing in the night’s Money in the Bank Qualifying Match main event — a bout won by his replacement, Kevin Owens. Will we see another brutal confrontation between Reigns and Mahal this Monday night? Which Raw Superstars will join the Women's Money in the Bank Ladder Match? The Women’s Money in the Bank Ladder Match is really starting to take shape, with Raw’s Alexa Bliss and SmackDown LIVE’s Becky Lynch joining Ember Moon and Charlotte Flair in a match to determine who will get a Women’s Championship opportunity at the time and place of their choosing. There are two Team Red opportunities remaining. Who will be next to qualify? We’ll find out on Raw. How will Raw's male Superstars gain "Money" momentum? The Team Red side of the Men’s Money in the Bank Ladder Match is set, with Finn Bálor, Braun Strowman, Bobby Roode and Kevin Owens — who was granted a second chance to qualify for the bout by Raw Commissioner Stephanie McMahon — confirmed for the high-stakes confrontation on June 17. These four Raw Superstars, The Miz, Rusev, a member of The New Day and a fourth SmackDown LIVE Superstar will slug it out for the life-changing contract, but with several weeks remaining until WWE Money in the Bank, all of these competitors will be looking to pull ahead of the pack as the event approaches. Who will stand tallest this week? Superstars are undoubtedly lining up for their chance to unseat “Monday Night Rollins.” Will The Kingslayer’s reign come to an end at the hands of a surprise challenger? Last Monday morning at the NBCUniversal Upfront in New York City, Nia Jax chose Ronda Rousey to be her next challenger for the Raw Women’s Championship, and Rousey agreed to do battle at WWE Money in the Bank on Sunday, June 17. The encounter seemed amicable enough, but one has to wonder what’s going through the minds of The Irresistible Force and The Baddest Woman on the Planet as the bout approaches. Expect some fallout from last week’s challenge this Monday night.